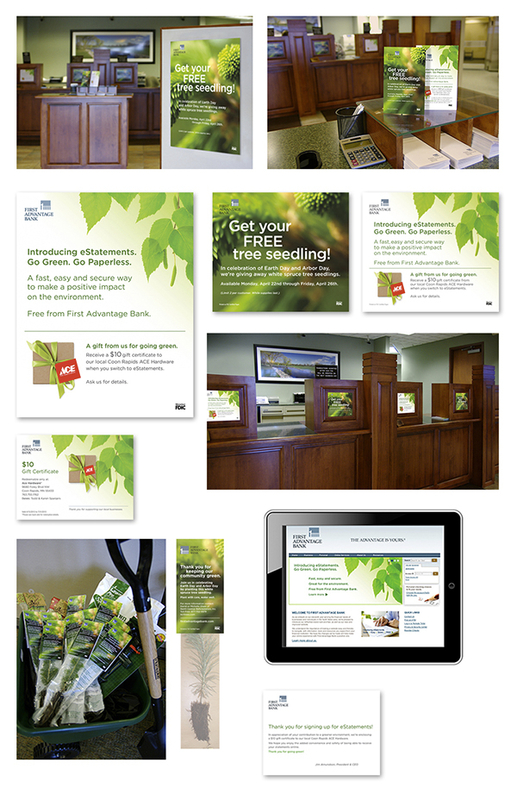 The tree seedling giveaway highlighted the bank’s “Go Green” environmental theme in support of its introduction of eStatements. The bank partnered with local business ACE Hardware to encourage local shopping and support of community banks. The bank successfully created awareness of their new eStatement, as well as staff engagement and excitement.